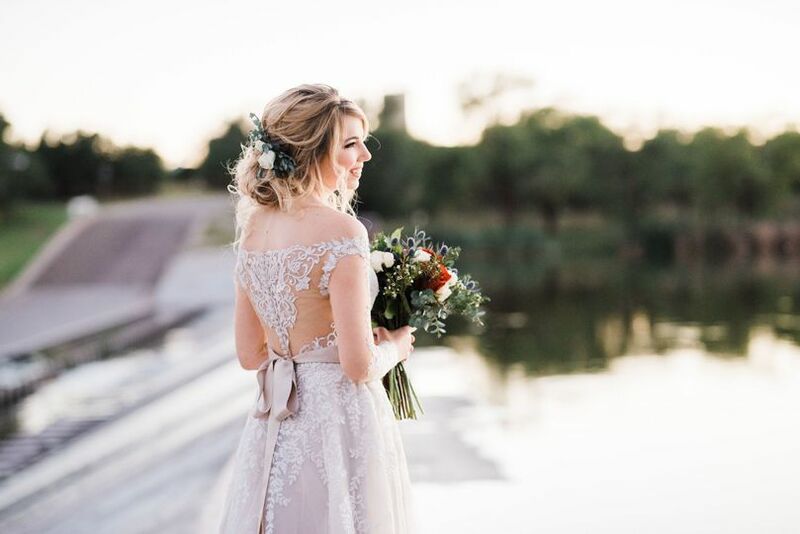 The Copper Press is a unique wedding and event venue in Colorado City, Texas, near the city of El Paso. 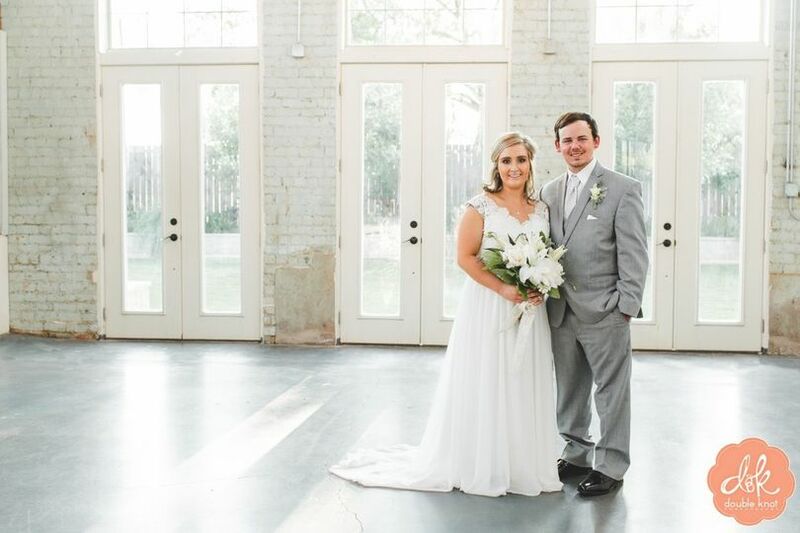 This historic building offers an industrial, urban chic atmosphere for your wedding, and is located in the heart of west Texas. The Copper Press will provide your celebration with an elegant, rustic backdrop to remember your special event for years to come. 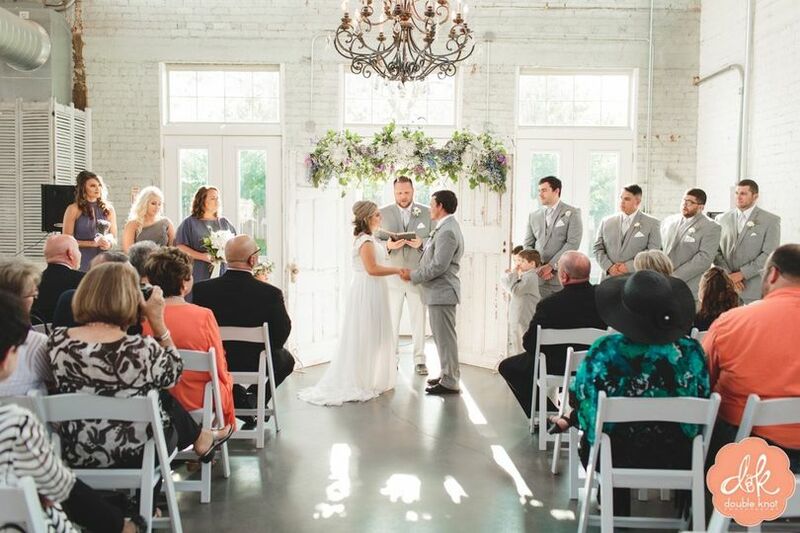 The Copper Press is an indoor wedding and event venue that accommodates up to 300 people. 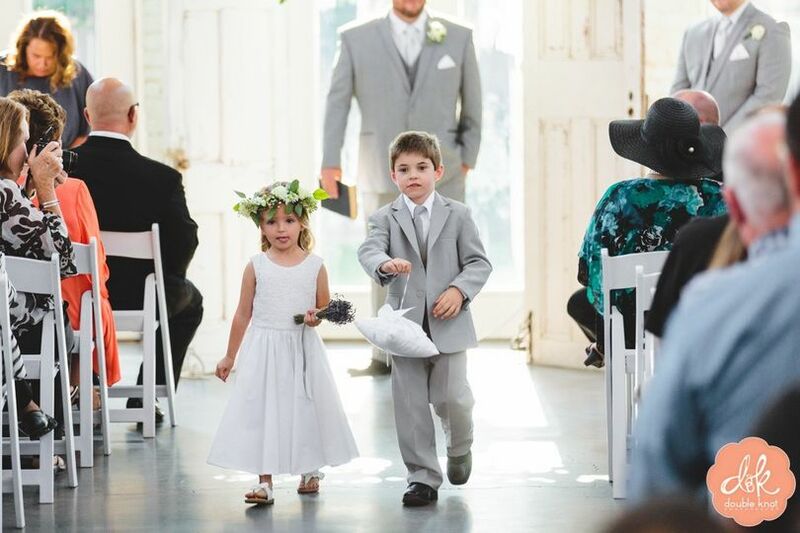 This historical building offers a unique and distinctive environment for your wedding festivities, providing ample space for your guests to celebrate with you and to mingle with each other. 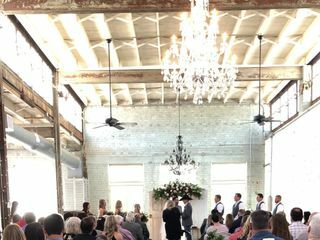 Beautiful white brick walls and multiple sparkling chandeliers create an elegant atmosphere in the main ceremony and reception space. 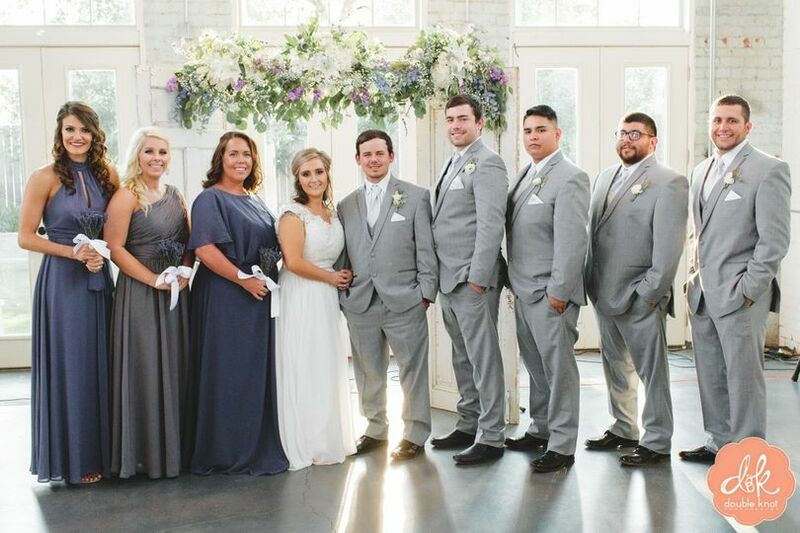 They offer a beautiful private outdoor space and dressing room for the bridal party, and their facilities include men’s and women’s restrooms, as well as a commercial kitchen. 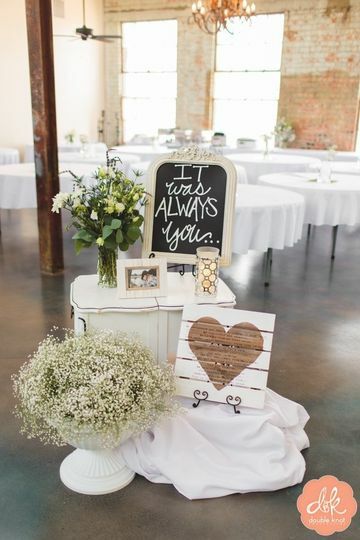 The rustic look of the aged building makes a stunning backdrop for your wedding photos. 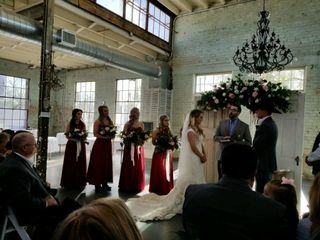 The venue can be rented for the entire weekend of your wedding celebration, and the staff of The Copper Press will cater to your needs while hosting your event. In 1929, F.H. Strong constructed a building that became known as Colorado Steam Laundry, a successful laundry service which remained in business until the late 1960s. After many years of inactivity, the historic building was brought back to life with renovation and restoration in 2014 by current owners Robert and Cherry Hoback. The Colorado Steam Laundry became The Copper Press, a historical building for the special events in your life. I wish more than anything that I could go back to this place and replay my wedding over every single day. It is absolutely beautiful and could not have been a better venue for our personalities. It’s a blank canvas, but it doesn’t need hardly anything because it’s just beautiful in its natural state with a lot of the original walls & brick. Cherry was amazing to work with! Answered every single one of my questions extremely fast & was very helpful. We got so many compliments on how beautiful the venue was! Beautiful Venue! Owner was easy to work with! We had many issues such as dirty dishes, dirty chairs, not enough silverware, and old tea glasses.The kitchen was a mess! I try to let Cherry know what was going on. She didn’t want to take care of it then. She told me that she couldn’t do nothing about it. She did send me a check of 25.00 after the wedding for the trouble we had. I was disappointed. We rented the place out Friday to set up and rehearsal. Instead we had to wash ALL the dishes, clean the chairs, and buy plastic silverware and plastic cups. We put the dishes in the dishwasher and hand washed them. About 70 tea glasses were old, cloudy looking. Nobody wants to drink out of those. Overall the venue is beautiful and perfect for a small party. We appreciate feedback, and are constantly striving to improve our service. Our review of the incident did reveal approximate 8 dishes and 7 cloudy glasses that needed to be re-cleaned. We sincerely apologize for that inconvenience. We don't believe it has happened before, and we have already taken measures to ensure it doesn't happen again. We take pride in our thorough cleaning of all our tables and chairs before every event, and don't believe that any issues with the chairs were a result of a failing on our part. For your inconvenience, we believe the refund of your entire deposit plus and additional $25, was sufficient, especially when considering you had already forfeited 100% of your deposit by needing access to the building for an extra day to remove your belongings, and by requiring additional trash cleanup and leaving a broken table in our parking lot. We strive to overly accommodate every guest, and hope you agree that we have more than sufficiently compensated you for your inconvenience. But more importantly, we hate you your were not 100% satisfied with your use of your facility. We intend to use your review to help us improve our service to future guest. Thank you again. This venue is incredibly beautiful. 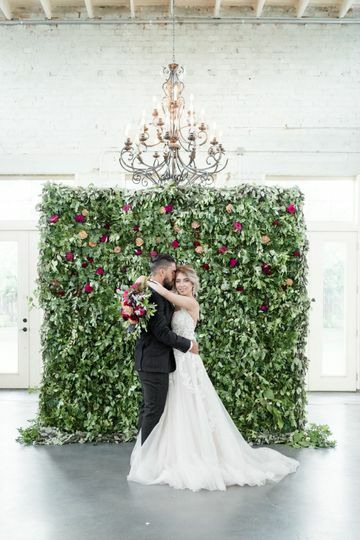 From the bridal suite to the ceremony space and even the outside of the building, everything is stunning. The venue also photographs very beautifully, I am looking forward to the next wedding I get to photograph at the Copper Press!